As each egg was finished they were popped into a sturdy glass jug to dry. 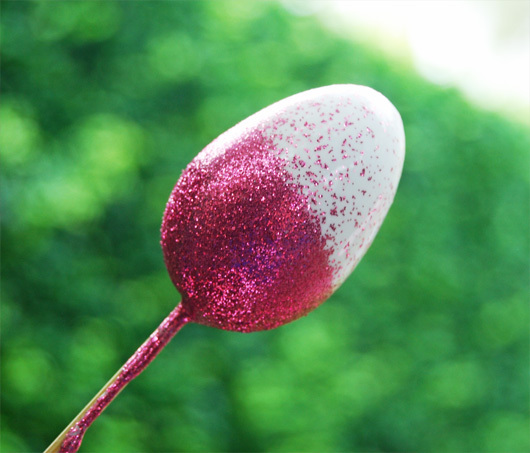 The kids applied a fairly thick layer of glue to some of the eggs – the glue and glitter did start to run down the eggs leaving a streaky effect. 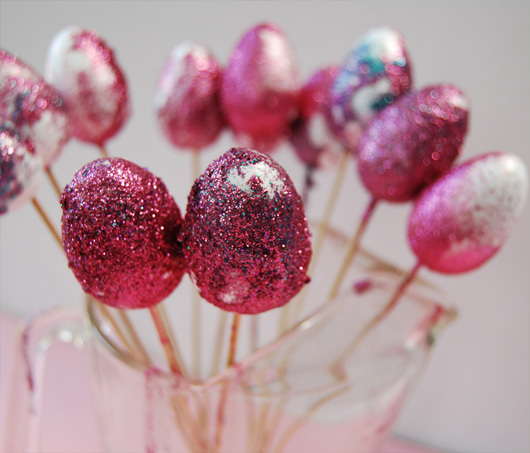 Once the eggs were completely dry I sprayed them with hair spray so that glitter wouldn't float all over the house! 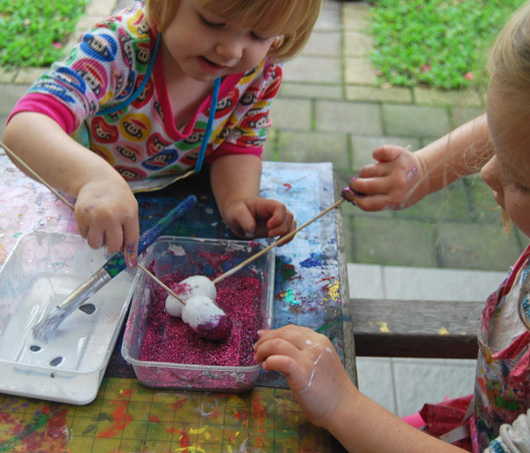 If you are interested in more Easter craft have a look at our Rainbow chicken house. 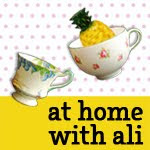 And if you want some egg decoration inspiration check out all the ideas over at Alisa Burke. Oh these are absolutely adorable Ali...i love that they are not smooth and perfect and so obviously created with much care and joy by your girls and not adults! 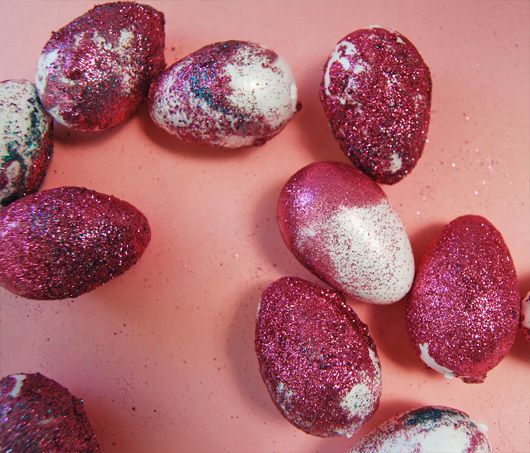 !So many easter crafts seem more suited to adult intervention but these are just perfect and i can't wait to give them a try! Thanks Jode, I did get them from Spotlight, they are the little ones which seem to work best for little fingers. 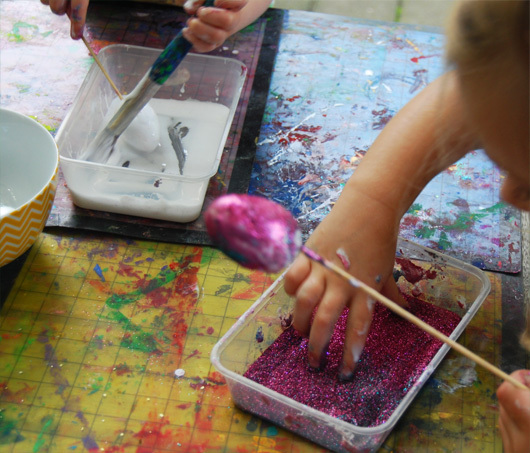 We ran out of eggs before the kids ran out of interest.... they used up the leftover glitter on scraps of cardboard.